Dennis E. González, Executive Officer of Region II of the U.S. Department of Health and Human Services is the Keynote Speaker for this community health forum. 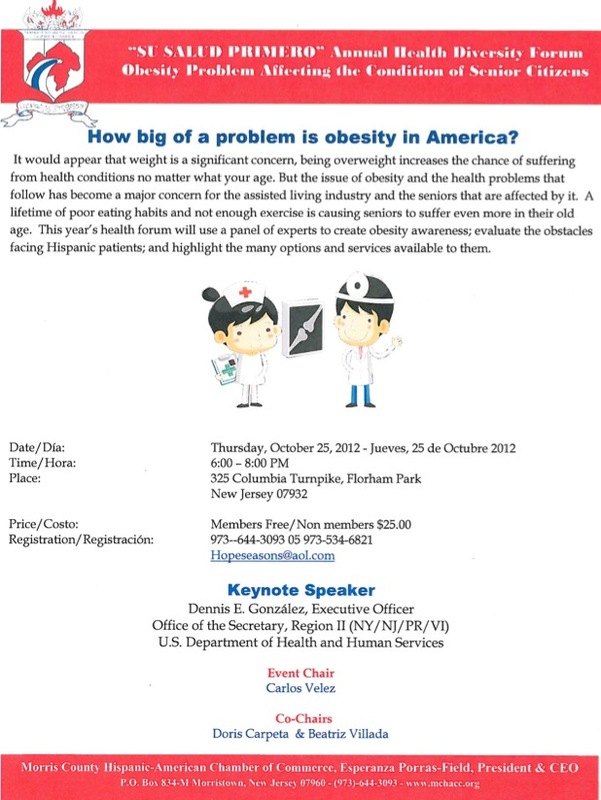 Being overweight increases the chance of suffering from health conditions no matter what your age. But the issue of obesity and the health problems that follow ha become a major concern for the assisted living industry and seniors that are affected by it. A lifetime of poor eating habits and not enough exercise is causing seniors to suffer even more in their old age. 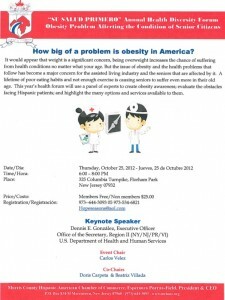 This year’s health forum will present a panel of experts to create obesity awareness; evaluate the obstacles facing Hispanic patients; and highlight the many options and services available to them.